Banned/Restricted Moves: Direct healing, Chill, anything that erases abilities (I don't think Oricorio has anything like that, but just in case). Spamming of Dance moves is highly encouraged. idk how to write but it is pretty and full of flowers and stuff. 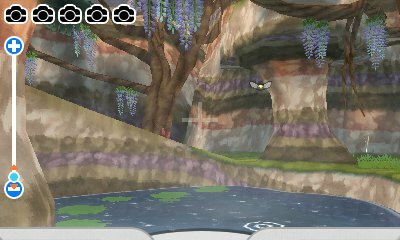 The meadow is separated into four quadrants, each populated with a different colour of Oricorio flower. It is very very pretty. So pretty. Look how pretty! Cheep cheeps can take an action to drink the nectar from any of the flowers and change form according to the flower's colour. Form changes will take place at the end of the round. Additional Rules: The only allowed Pokémon is our favourite cheep cheep friend, Oricorio. We will need one Oricorio of each form (but of course they can change forms during battle, see the arena description). Mine is Sensu form! Flying and Electric inflict neutral damage on each other, to prevent Pom-Pom form from being too OP. 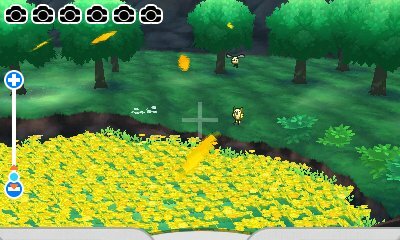 All participating cheep cheeps have Fiery Dance, Feather Dance, Lunar Dance, Petal Dance, and Quiver Dance added to their movepool. Last edited by I liek Squirtles; 01-10-2018 at 12:21 AM. All right, cutest cheep cheep! Let's start by Taunting that faker, imposteround! Then show final cheep cheep your Revelation Dance! Finish off with Icy Wind. If your target is unhittable because of Protect or clones (but not Substitute) on the first or second action, use Calm Mind for the first action, Work Up for the second. On the third action, use Helping Hand if both targets are Protecting or both have Substitutes. Okay, apprentice cheep cheep! Let's start by Taunting final cheep cheep! Then show that faker imposteround your Revelation Dance. End the round with Icy Wind! If your target is not hittable because of Protect or clones (but not Substitute) on the first or second action, use Work Up for the first action, Calm Mind for the second. On the third action, use Helping Hand if both opponents have Substitutes or both are Protecting. sorry that i cant put much flavor, I'm a bit pressed for time. good luck imposteround! Okay, after extensive conferring, let's try to turn the tables with a Taunt of your own, targeting cutest cheep cheep. If you can't do that before being taunted yourself, fall back on Hidden Power to see what it is. 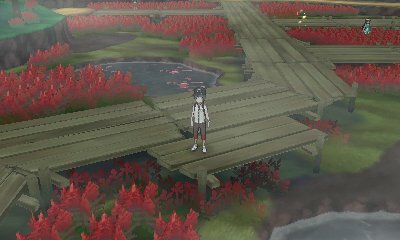 That Ghost-type Revelation Dance is going to be painful, and we don't want it. Unfortunately you'll have to weather it twice this round, but if you aren't taunted, go ahead and drink some yellow nectar to change your type at the end of the round. If you are taunted, Hidden Power against cutest cheep cheep if it was super effective last time; Icy Wind otherwise. Finally, I guess let's just wrap up with an Icy Wind or something. Gonna get really chilly here in the meadow.